Mother Warrior. Child Tamer. Super Mom. Both are full time jobs, and neither one is easy. It requires a lot of work, time, and responsibility to be successful at either one. Now combine the two together, and what do you get? A league of extraordinary women. This is not trying to downplay stay-at-home moms by any means (that’s a very difficult job as well). It’s a commendation for the brave women out there that make the choice every day to not only be a wonderful mom, but a successful woman with a career. 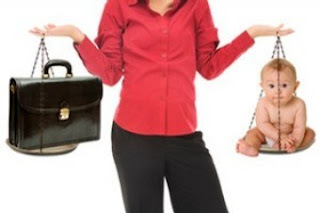 How do you balance being a mom and having a career? "I am not sure that I have all, or most of the answers, but it is certainly a constant juggling act! One thing I try to do is to be present wherever I am. When I am at work, I give it 100% and leave all my responsibilities as a mom at the door. When I am at home, I try to do the same and leave everything from work at the office. My kids deserve to have my full attention when I’m with them and same for my time at work. Both need and require all of my focus when I am in each place. I have started to leave my phone in my purse when I am home during the week. When I only have two or so hours with my children from when I get home from work to their bedtime, any email can wait until after 8 PM for me to respond to. I feel better about giving my children 100% of my attention and not being tempted to bring my focus to work/email. I have not once lost a job order because of not looking at my phone for a few hours each night!" "Often times it is very difficult to be good at everything, so it's important to accept that you will have to make sacrifices and show yourself a lot of grace. Have a plan and find time for yourself or you will burn out. It's important to prioritize and also delegate when necessary both at home and at work." "It’s tough- there is not a perfect balance and if someone finds the perfect balance, I would love for them to share it with me. There are times where one simply has to trump the other. It’s all about priorities and you figure out as time goes on what is more important. I will never be able to be in a parent teacher organization and it is pretty unlikely that I can attend my kid’s programs if they are during the workday. That was hard reality for me to let go of, but I also know that I am setting a very strong example for my kid’s about career paths and work ethics." It’s challenging to balance it, but you don’t have a choice but to do it. In order to be a great mom, you have to be a strong woman and that means being independent. Before I had my daughter, I didn’t care when I left. Now, all that’s on my mind is getting the tasks done so I can get home as soon as I can. You have to separate the two, otherwise you won’t be successful at either. By being a strong career woman, you’re going to be a great mentor for your child in the future. You’re providing a good, solid life for your daughter. What obstacles did you have to overcome as a working mom? "It was difficult to fit in with the “non-working” moms when my daughter first started school. I was the mom that wasn’t on the field trips, didn’t volunteer daily at the school, and picked up my child from after school care. Obviously there are more working moms than just me, but I always felt like the outsider. It always seemed like I couldn’t make friends or set up play dates. This past year, my friend told me that I needed to be at more so they would see me around more. We signed up my daughter for soccer through her school, which gave me time to meet all the moms at practices and games. I started volunteering at all the class parties- not just bringing something by but I took time off to set up or serve food at all of them. Little by little, as my daughter became more active in after school activities, they got to know me better and the more they saw me, the more I felt like I was fitting in. Now, if there is an early swim practice or meet, they offer to take her for me or have her come over for a few hours if I am running late from a client meeting or in traffic." "Understanding that I’m not the same person who can work 50-60 hours and get home whenever I please. I have kids now and I have to be more regimented with my schedule. They are my priority. I thought that I could come back to work and pick up where I left off, and that wasn’t the case after my first child. I was having difficulty figuring out my schedule. I was definitely tired and overwhelmed and my billings showed it. I had a lot of guilt both at work and at home. I felt that I wasn’t good at either, but I have realized that I have to give myself a break. I know that I am doing the best that I can. Over time you figure out a new groove that works for you. If you can’t finish everything during the work hours then finish after the kids go to bed. To be honest, this is something that I work on constantly." "I still struggle with separating work and home at times. What we do often spills into our home life with always being connected; I constantly have to separate the two so that I can spend quality time with my family when I’m at home. I also learned that it was ok to turn down business that is not good business. Your time is so valuable and I quickly learned this but had a hard time at first and wanted to please everyone. Soon you realize you’re not helping anyone effectively and have to really manage and protect your time." What's something you wish you knew when you first became a working mom? "I wish I knew [at the beginning] how good it would make me feel to have ownership of something other than being a “mom”. Being very successful at my job has given me self-worth, an identity, and independence. I only saw a paycheck in the beginning and not the big picture of why working is so important for mothers so that we are more than “one dimensional”. It helped that my children adjusted very well to the change, and they actually became more independent without me being around all the time. " "I wish I had known how hard it would be to leave my kids with someone else and go to work all day, and that it's always hard, even two years later. I also wish I had known how rewarding it would be to have a successful career that allows me to provide well for my family and raise beautiful children all at the same time! Every day is a new day - some days you will feel like you're failing at everything, but you just have to start over the next day. Things are never going to be perfect. I am a total perfectionist and I've had to let that go, which has been really hard for me. There will always be chores that need to be done, and emails you should respond to, and you will always wish for more time with your kids. Reading stories to your toddler at bedtime or snuggling with your baby is more important than doing the dishes or working. " "It’s exhausting, but you just do it! It’s SO hard leaving your baby, but for me, it gave me a sense of wanting to work harder to be a better provider for her. Now that she’s older she knows I work a lot and says she wants to be like me when she grows up, so I know I am doing something right…. I grew up where both of my parents were full-time working parents, and yet my mom was the president of our elementary school board, volunteered for the PTA, and was our 4-H leader, while also never missing one of my or my sister’s extracurricular activities. I was always taught the importance of “working for what you get”. I’ve had a job since I was 16 years old, so being a working mom and a hard worker in general is just part of who I am and how I was raised." What advice would you give other working moms? "Don’t try to be perfect or be too hard on yourself. You will miss some field trips and you will have bags under your eyes at work from staying up with a sick child. However, keeping your eye on your goals is what is key. I like the quote “No matter how you feel, get up, dress up, show up, and never give up.” I would also say this to women- depend on yourself. It will make some tough decisions much easier, whether that being able to leave an abusive partner, applying with your own credit for a house, or just being able to stand on your own two feet. Why do I work so hard? I have always wanted my child to have the opportunities that I did not. For instance, I would have loved to be an exchange student or have taken piano lessons." "It was very hard to return to work after my first child was born. There is an unbelievable guilt you feel that truly never goes away. You have to tell yourself that you are setting an unbelievable example to your children that they truly can have it all…family and career! It is not an easy task and at times you are going to question yourself, but I know I am a better mom because I work and have the ability to give it my all. Also, don’t be afraid to ask for help. That does not make you weak or unfit. It just proves that you are smart!" "Get rid of the guilt! I realize I am a better mom because I work and have a career. Be present- when you’re at work focus on work. When you get home, leave work behind. Your kids don’t care about the “drama” that happened at work that day. They want to talk with you about their day and want you to be present! Don’t burden them with adult issues- they are kids. My daughter sees what it is to be a successful woman with a career and mind of her own. She knows that she can be independent, confident and successful all on her own. I value the time I have with my family and feel like we get more quality time together because I am a working mom. I don’t take for granted the time we spend together." "The biggest thing that works for me is planning. I keep a master calendar that includes all of my commitments, both personal and professional. I try to put everything into Outlook, as well, so I get the reminders on my phone and so that my co-workers have access to my schedule. In addition to that, it is a matter of setting priorities. Don’t sweat the small stuff. It IS possible to be very successful at a demanding job and also be a great mom to your kids. However, it’s NOT possible if you think everything has to perfect. You have to develop a strong support network also with friends and family – they are willing to help…. Let them!" "Don’t be afraid to ask for help. When your kids start to get older they have a lot of activities and you will need help juggling them all. Ride share with other parents- this helps both of you out. Take time for yourself. Carve out time where you focus on you and do what you love." For more information about Creative Financial Staffing, please visit www.cfstaffing.com or visit us on LinkedIn.